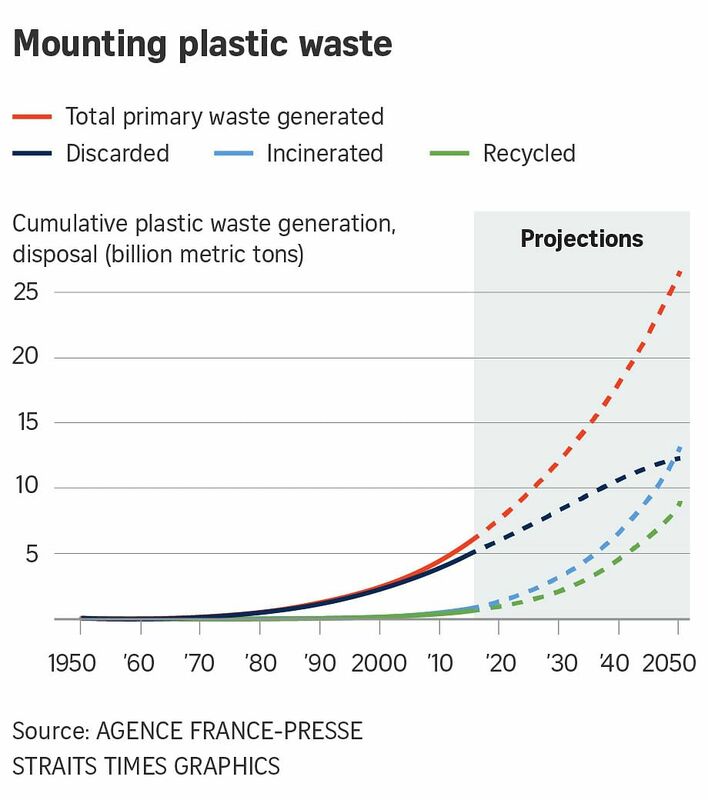 OSLO (REUTERS) - Less than a 10th of all the plastic ever made has been recycled, and governments should consider banning or taxing single-use bags or food containers to stem a tide of pollution, a UN report said on Tuesday (June 5), UN World Environment Day. "Only 9 per cent of the 9 billion tonnes of plastic the world has ever produced has been recycled," the report said. "Most ends up in landfills, dumps or in the environment." Elisa Tonda, who leads UN Environment's Sustainable Lifestyle programme, said more than 60 countries had bans or charges on single-use plastics such as bags or polystyrene containers. Thirty per cent of countries found sharp drops in plastic bag consumption in the first year after imposing restrictions, while 20 per cent saw little or no change. But in half the cases, governments failed to gauge the effects of restrictions, the report said. In South Africa, plastic litter is jokingly referred to as"the new national flower". In Ireland, windblown plastic bags caught in trees are referred to as "witch's knickers".